As part of a new series aimed at bringing you closer to the business side of the sports nutrition industry, DigitalMuscle.com shines a spotlight on a member of the team at RedCon1, one of the world’s leading supplement brands. The selected employee has been chosen by the company’s CEO and is being showcased here at the Fitness Industry’s Media Hub. The Employee Spotlight for the month of February belongs to Dallas Diaz. 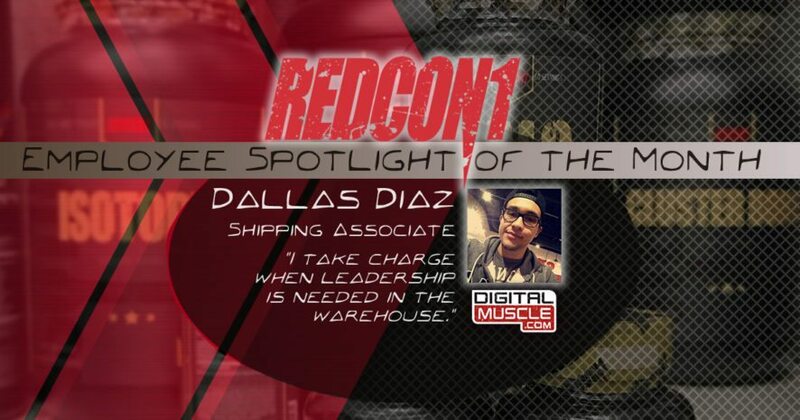 Join us in congratulating Dallas as we present this brief Q & A.
Dallas, Congrats on being selected as the RedCon1 Employee Spotlight of the Month for February. Can you give us a short description of your responsibilities at the company? My daily responsibilities include picking and scanning each order to make sure shipping goes smooth. I make sure all of our products are stocked and ready for the day. I stay on top of inventory, as products come and go, and I work with customer service to fix any customer complaints and resolve any issues with their orders. Meeting my idols that come visit us here at Redcon1 headquarters. 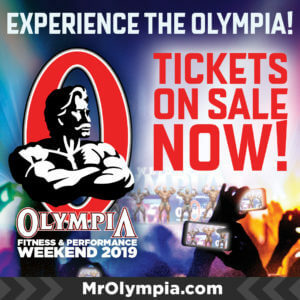 Flex Lewis, Mark Anthony, Ryan Terry, Mike Rashid are just a few of the familiar faces who are spotted around the office. What have you learned about yourself since joining the company? I’ve learned that I’m a leader and I take charge when leadership is needed in the warehouse. Working here has definitely made me grow up…and mature more. Do you train regularly? Briefly describe your gym progress and your goals. I train everyday! 5 days a week for an hour and a half at the office, and on the weekends I do cardio outdoors. My physique has drastically changed from 2017. Even when I first started at Redcon1 I packed on a lean 10 pounds of muscle in my first two months. My goal is to pack on a pleasing amount of mass for classic physique competition. I want to compete this year if my body is ready for it. Which RedCon1 products are you currently taking? I’m currently taking Med Pak, Halo, Isotope, Silencer, Double Tap powder, MRE, and I’ll add Total War and Big Noise on days when I need it. What’s your number one career goal? My number one career goal is to become a very successful bodybuilder/business man. I idolize 4-time Mr. Olympia Jay Cutler for doing just that. I aspire to be like him. 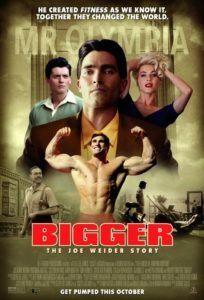 I want to be at the top, Mr. Olympia while running a business to further my life. 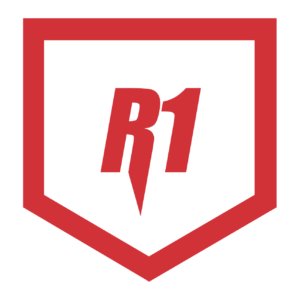 Why should someone choose RedCon1 for their supplement needs? So visualize a Rolls Royce, and next to it is a beat up Honda. Which one sounds more pleasing to you? If you picked the Rolls, then you just chose Redcon1. The products are top of the line and I’m not just saying that because I work for them. 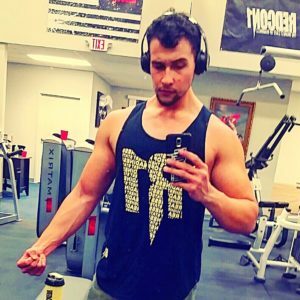 Since I started bodybuilding, I’ve tried a lot of supplements, and nothing has compared to RedCon1. My body has changed a lot from taking their products vs the crappy ones I use to take. I look phenomenal now. Thanks Aaron for creating such an amazing company!! Editors Note: Digital Muscle is proud to work with some of the top companies in the world of fitness, nutrition, bodybuilding and supplementation. Companies like RedCon1 are helping us create a destination we can all be proud of, the fastest growing original content provider in the category. If you’re interested in becoming a part of RedCon1, be sure to check out their Tier Operator program, the most unique incentive-based income opportunity in the industry. Learn More!